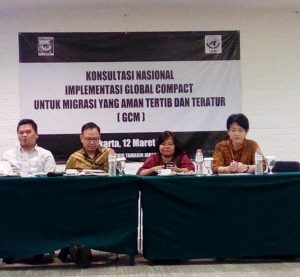 (Jakarta, April 12, 2012) – Indonesia’s ratification of the Migrant Workers Convention will bring new protections for millions of Indonesian migrant workers, Migrant Care and Human Rights Watch said today. The Indonesian parliament adopted the international treaty on April 12, 2012, without reservations in a plenary session. Indonesia’s Foreign Ministry estimates that more than three million Indonesians work abroad and, because of high numbers of undocumented migrants and gaps in data, the actual figure is probably much higher. 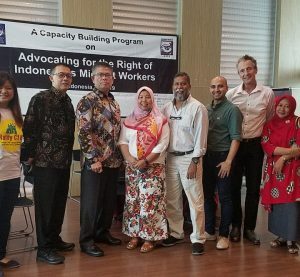 Indonesian migrant workers are concentrated in low-paying, poorly regulated sectors such as domestic work, agriculture, and construction in Malaysia, Saudi Arabia, and Kuwait. The 1990 International Convention on the Protection of the Rights of All Migrant Workers and Members of Their Families (Migrant Workers Convention) guarantees migrants’ human rights and promises government protection against abuse by employers, recruitment agents, and public officials. It is one of the nine core treaties of the international human rights system. Indonesia has taken incremental steps to strengthen protections, including imposing a two-year ban on migration while negotiating a Memorandum of Understanding with Malaysia that guarantees Indonesian domestic workers a weekly rest day and the ability to keep their passports. The government has engaged in high-level diplomatic efforts in response to cases of physical abuse and killings of domestic workers in Saudi Arabia. Indonesia has also established a task force to examine the situation of Indonesians facing the death penalty abroad.